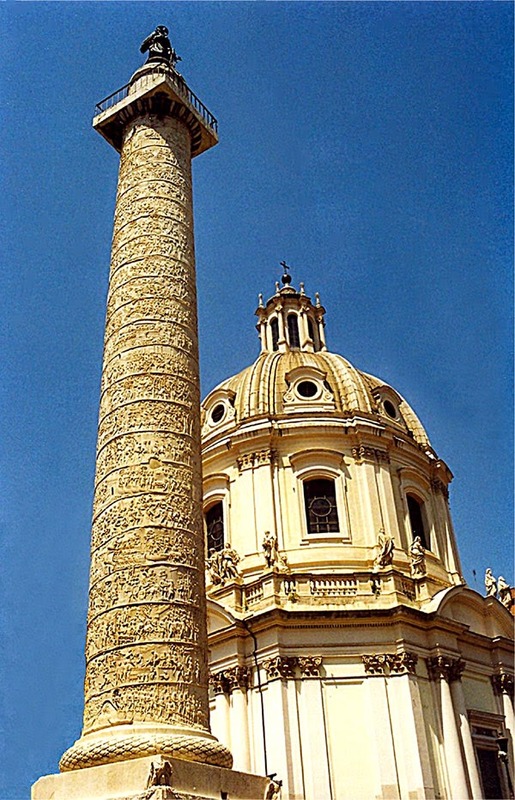 Column of Trajan, the Roman emperor Trajan (98-117) in the middle of the Roman Forum of standing 38 feet tall marble columns. "... 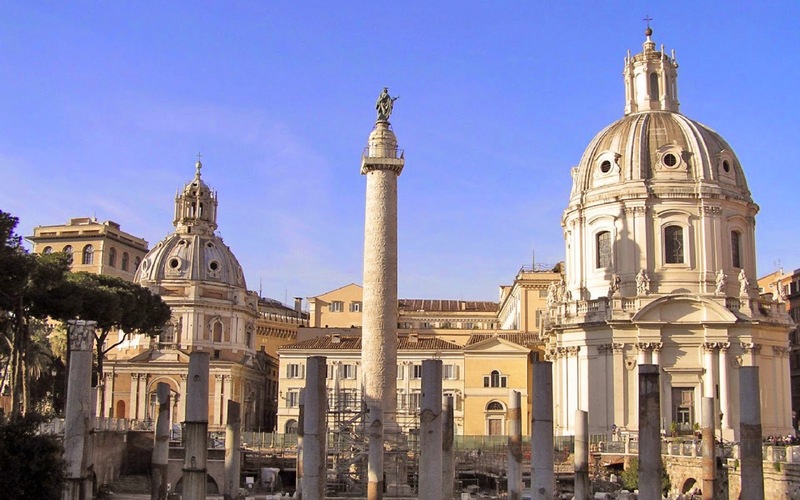 In front of the Arch, which served as the entrance to a large space, the two library buildings and destroyed the basilica, the latter column only suggest the ruins of imperial forum shine" - it remembers the history of the world. Since 1587 is the top of the statue of the Apostle Peter, however, the construction of gilded bronze statue of Trajan particular location. Apollodórosz creator. The column base 5 meters high. Three sides decorated with reliefs, and originally served as the emperor's ashes to accommodate. 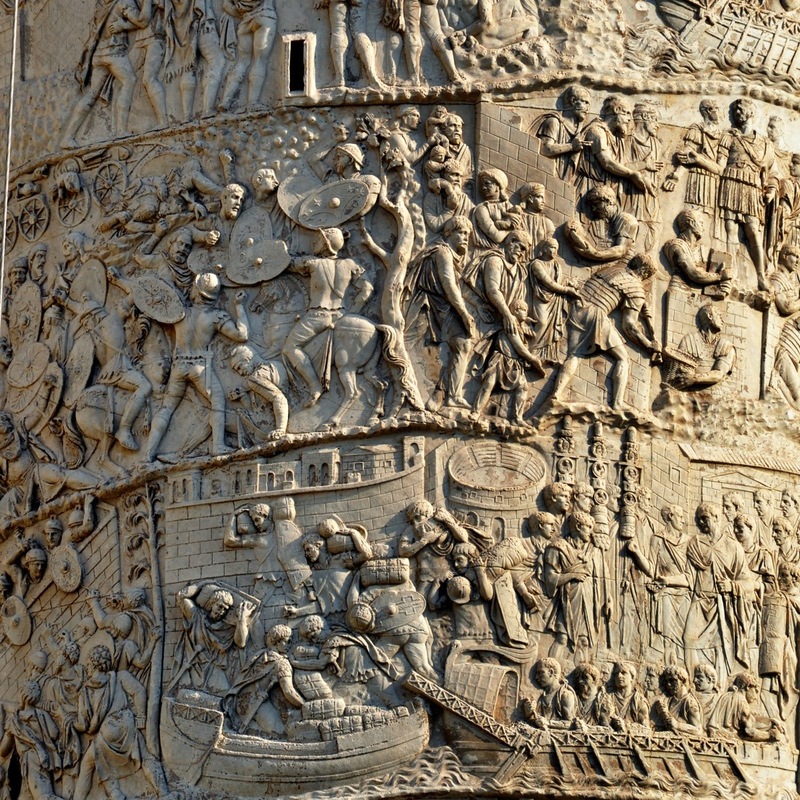 Historical significance of the spiral, about 200 m long series of bas-reliefs located on the trunk upon which Trajan's two Dacian campaign of events are listed below. The relief strip contains 22 helix, and a twenty-three of marble.